Within the Plumbing industry, we at Bond Plumbing have noticed a substantial increase for Bidet Toilet Seat installation. Bond Plumbing are dedicated to providing an efficient and professional service and will happily assist in the new purchase and installation of these products. We carefully follow the Plumbing Code of Practice and AS3500 on all jobs. This ensures the quality and insurance that the job is done correctly. In regards to Bidet Toilet Seats, we have noticed people are generally misinformed on the installation requirements. The difference in time and costs can be quite significant, especially when the installation needs to be legally rectified. These products are using potable water and are directly or indirectly connected to a fixture (toilet), that is classed as sewer. This is therefore classed as a high risk hazard and has legal requirements for installation. In Plumbing we have a term called ‘Backflow Prevention’. This prevents fluid flowing the wrong way, and this is in most cases, used in water supply. This therefore prevents contamination of our drinking water, which could result in sickness or in severe cases death. To ensure that your Bidet Toilet Seat is installed correctly and to avoid any unexpected costs, please contact Bond Plumbing and we will be happy to assist. Eco Friendly – Cutting down on toilet paper, we reduce our overall paper waste. Hygiene – The Bidet is hands free which effectively reduces the likelihood of bacteria. 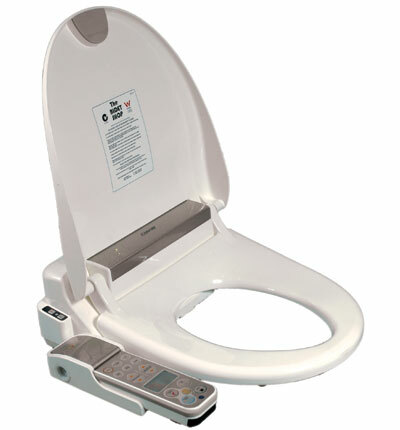 Medical Conditions – Bidet Toilet Seats are great for those with medical conditions. Especially those with diminished hand strength.